In this episode, host Stacy Mitchell speaks with Kimber Lanning, founder of Local First Arizona. 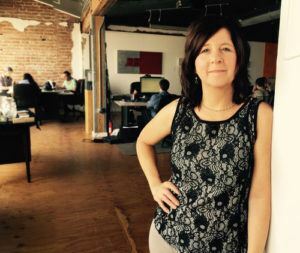 A seasoned entrepreneur and community development expert, Kimber has made it her life’s mission to cultivate self-reliant communities. Her work focuses on implementing systems and policies to ensure a level playing field for entrepreneurs. Currently only 7% of Arizona’s total deposits are in Arizona-owned banks and credit unions, well below the national average. Kimber started the “Move Your Money” campaign to encourage cities, businesses and individuals in Arizona to bank with local banks. Stacy and Kimber discuss how crucial access to credit is for small businesses and how community banks play an important role in providing that credit. They also discuss land use policies and Phoenix’s innovative approach to turning vacant buildings into great spaces for local businesses. 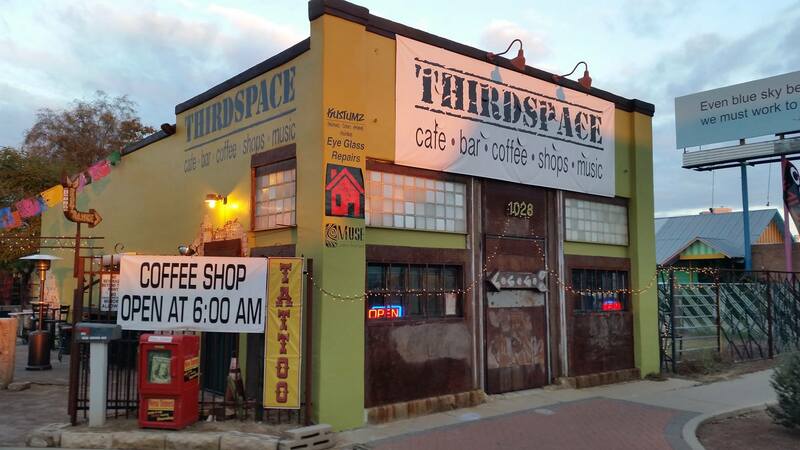 Thanks to shifts in zoning policy, more than 125 new businesses have moved into and renovated formerly blighted and abandoned buildings in Phoenix. Local First Arizona built a strong case for preserving, rather than tearing down, older building stock, in part by showing how historic mixed use areas provide a better environment for local entrepreneurs than new development. Because of their efforts, Phoenix has the most effective adaptive reuse program in the country. Kimber also explains how Phoenix’s government decided to spend no money with Amazon — in contrast to many cities that have turned over much of their procurement to the online giant. Instead, Local First has built a database of local business to help Arizona cities spend their money locally. Listen in to hear more about how Arizona First is leveling the playing field for small businesses and how other states can follow suit! We aren’t going to put our money into a company that extracts wealth from our communities. We are going to invest in the companies that are here, investing in our future together with a shared vision. Stacy Mitchell: Hello and welcome to Building Local Power. I’m Stacy Mitchell of the Institute for Local Self-Reliance. Today on the show we have Kimber Lanning. Kimber is founder of Local First Arizona and Local First Arizona Foundation, two distinct state-wide organizations working in tandem to strengthen Arizona’s economy. Under Kimber’s leadership Local First Arizona has grown to a membership of more than 3,000 independent businesses across the state. Kimber herself is an entrepreneur and she’s also a community development specialist who works to cultivate strong, self-reliant communities and inspire a higher quality of life for people across Arizona. Kimber, welcome to Building Local Power. Kimber Lanning: Thank you so much for having me. Stacy Mitchell: I want to start by asking you what led you to found Local First Arizona. Tell us a little bit about the conditions and the state, what it is that you’re trying to change? Kimber Lanning: Sure. It’s a really interesting place in that we were the last of the continental states to actually become a state. It wasn’t until 1912 that we had statehood, and we grew very rapidly after the 1950s. Phoenix is very much built after the advent of the automobile and we grew in such a way that there wasn’t a lot of sense of place because two-thirds of the people living here came from somewhere else and so therefore there’s not a lot of loyalty to old school companies that you might see in a place like Philadelphia or Boston. To have a company here in Arizona that’s been here more than 30 years is rare. More than 50 years, I could probably count on just a handful of fingers. I think it’s important to understand that as we grew, the chain model, the model of chain store was actually also hitting its stride. They didn’t have to fight any brand loyalty that was already here. They could just come on, set up shop and people would support them, particularly if they were coming from another area that we had a lot of transplants from. You could take a company like Culver’s that was popular in Chicago, they’d set up shop here, and there’s a bazillion people from Illinois that would immediately flood their stores because the people that are living here that came from Illinois, they don’t put their roots here, they want to bring Illinois with them. And that shows in everything from their habits in terms of commerce to the landscaping choices that they have. They brought their grass and their pine trees with them or oak trees or other such things that are not native to the desert here. I think it catches people off guard how large we’ve grown, but really I think it was a matter of resonating with enough people that we really needed it. You don’t need to go to New York City per se and say support local businesses because people are already doing that by and large. Now they’re just facing an influx of change now, but we already went through all of that and now the local restaurant scene is striving over the chain … We’re seeing chain restaurants close left and right. Stacy Mitchell: As you formed this organization and as you’ve been doing this work across the state, what are some of the biggest challenges that you’re seeing for independent businesses, for this idea of having a strong local economy in Arizona? Kimber Lanning: I think the biggest challenge we see is access to capital. There are a number of reasons for that. I think that the largest reason is that we as a state, our residents, our businesses, and our governments have put our money in the three biggest banks that exist in the country. So that’s Chase, Bank of America, and Wells Fargo, and those three banks are largely not lending to small businesses in Arizona. They are not interested in doing $25,000 loans. They’ll only consider doing about 250,000 and up, and even the $250,000 loans are pretty rare. That pretty much cuts off the lifeblood of the small business here, and when we get into underserved markets, they’re relying on predatory lenders for those loans and paying exorbitant interest rates. I think that’s really the biggest issue that we have and I suspect that’s certainly true around the country. We’re also seeing banks cut off capital in rural areas at an alarmingly high rate. When the last bank pulls out of a small town, it’s hard for that small town to survive. This is an issue we’ve been drawing attention to, and I think that it’s one of those sleeping giant issues that everybody should be moving their money into local credit unions or community controlled banks, that it’s just sort of like keeping an eye on your money. You need to know where it is and where it’s invested. If you have it in one of those three big banks, then frankly you have no idea where it’s invested and somebody’s making money off of you that could be in a very non-values aligned manner. Stacy Mitchell: Yeah. It’s the data on what’s happened to the banking system as things have consolidated and we’ve lost local banks and credit unions, it’s had a real impact on the ability of businesses to get loans, to grow. There’s just such a direct connection there and it’s I guess disturbing that political leadership has not been more aggressive about addressing that because it really is like a functional issue, or it’s a structural issue in a sense that big banks, they’re not going to start lending to local businesses, they’re operating at a scale that’s just out of touch with local needs. Tell me a little bit about like as you’ve been delivering this message about local banking, have you gotten a response from that? Have you seen anything shift in that work? Kimber Lanning: Yeah, we’ve been very pleased. Here in Arizona we’ve been able to shift 6% market share out of those big three banks and into our community banks. We’ve been running an active Move Your Money campaign now for a couple of years and it’s been significant. The number of businesses that have moved their money, we’ve successfully convinced the city of Phoenix to move $50 million, which is just a piece of their money, but it’s a start. I was able to convince them of that because the elected officials were talking about having a 24/7 vibrant city and I said, “No, you’re not. You’re not because the small businesses here cannot access capital, and if that’s your goal, then you need to move your money into a bank that shares that vision, and that’s not one of the big banks because they are not invested in small businesses here in Arizona.” And they got it, and they moved some of that money. We also convinced the city of Tucson to move about $30 million. Then I think we’ve tracked almost 100 businesses that have moved their money and then countless individuals. We’ve been very excited about the impact that we’re having. Stacy Mitchell: Have local banks and credit unions talked to you about this? I mean, are they … Has this come up on their radar? Are they feeling this shift? Kimber Lanning: There’s only 13 community banks in Arizona and we have all 13 of them engaged. We have a Speed Dating for a new bank event every February where it’s we play it off Valentine’s Day and they all come out to that, and it’s a place where you can actually come out, meet bankers, learn what their areas of expertise are, and pick one that works for you to move your money. We have at least two of them represented on our board of directors and so, yes, they’ve been very engaged and very receptive and I think frankly shocked at the impact that we’re having. Stacy Mitchell: That’s really great to hear. It’s striking because Arizona, I mean, that’s a much lower level of local banks. You have a much smaller share of your deposits and local banks than is average. I think another way in which Arizona is perhaps behind other states is in terms of land use policy. One of the things that we found and I know that you found is that land use is really critical to the health of local businesses, like how your planning and zoning works, what kind of built environment you’re creating has everything to do with whether you’re creating opportunity for local entrepreneurs or room for chains to take over everything. I guess just having visited Phoenix and other parts of Arizona, it seems like a place where there’s been not a lot of attention to having good zoning for a long time, and I think you’ve sort of alluded to this in the beginning when you were talking about this is a state that really has grown up around the car and not around having walkable places. Tell me a little bit about working on the issue of land use and whether you’re seeing any shifts in movement in Arizona? Kimber Lanning: We work successfully at the city level to get them to rethink the value of older building stock. We got them to adopt the international existing building code which enables inspectors in the field to be a little bit more tolerant and lenient toward getting an older building occupied. The shifts that we made with the adaptive reuse program here in Phoenix has led to what is really today the most progressive adaptive reuse program in the country where it spans city, all 500 square miles of the city of Phoenix, any building up to 100,000 square feet, so that’s going to be a big box size building, and anything that was built before 1990. It is an extensive program, anybody can apply to go through it, and it’s just slightly different process that allows more tolerance for older components to a building that may be safe for humans … I mean, we’re not talking about endangering life safety. Things in regular building code, maybe more rigidly interpreted and therefore more cumbersome to get a certificate of occupancy. It’s been a wild ride. It’s been hugely successful. I would credit those shifts in policy, to why we now have 100, 125 new, small businesses, have opened in our city center, that we’re formally in a blighted or abandoned buildings. Rather than tear those buildings down and build large new develops, we’ve been able to make the case that protecting the older building stock is a better economic development strategy. I do wanna just shout out, Preservation Green Lab did a fantastic study that can be useful for your listeners called, Older, Smaller, Better. If you just Google Older, Smaller, Better, you can read the report. It measures a wide variety, jobs per block are higher in places that protected their older building stock. Small business owned by people of colors, there’s a bunch of measureables there that make an economic case for protecting older building stock and zoning that doesn’t allow enormous footprints, to come in, abandoning alleys and dominating entire blocks, because that’s not how to create the most jobs. Stacy Mitchell: That’s great. We cited that research by Preservation Green Lab ourselves. It’s a really interesting study. It looks at several, different cities, to look at the data on why diverse historic mixed kinds of districts are actually much better for a lot of different indicators of economic and social health. We’ll make sure to include a link to that study on the show page for this episode. We’ll also link to some materials about Phoenix as adaptive reuse program, which has been just hugely successful. I mean, that’s just terrific to hear that 125 businesses have been able to start up in buildings that were previously derelict, because the city has stepped in and made that easier to do. I mean, that’s … It seems like a very … It’s kind of, a low hanging fruit, and yet the results of it have been really terrific. Kimber Lanning: Yeah, you know, the other piece of it I wanna mention Stacy, is there is a storefront improvement program, where the city grants one large award to an architectural firm, that then is tasked with giving away services at five, to 10,000 dollar increments, to help small businesses. Again, occupy those older buildings that may need a façade overhaul if you will. We actually, where our office is, we participated in that program and got approximately 7,000 dollars worth of architectural services, to get through the process to get our certificate of occupancy. That’s a wonderful program as well. Stacy Mitchell: That’s great. You’re listening to Kimber Lanning, executive director of Local First Arizona. I’m Stacey Mitchell with the Institute For Local Self Reliance. We’ll be right back after a short break. Hey everyone. As you know, we don’t have ads on this show, but we do depend on your for financial support. We hope as the year winds up, you’ll consider making a donation to the Institute For Local Self Reliance. We’re a national non-profit organization. Our research, our advocacy, our work with communities really depends on support from people like you. Please go to ILSR.org/donate. That’s ILSR.org/donate. Thanks. We’ve been talking some about policy areas that are really abut leveling the playing field, like making sure that local businesses have access to capital the same way that big businesses do, making sure that land use policies are actually creating the kind of build environment that works for local entrepreneurs. I wanna turn a little bit to this question of, okay, in addition to leveling the playing field, how do cities do further? How do they actually use their policy tools to grow local businesses, to really actively promote and develop a different kind of economy? One of the places I wanna talk about is procurement. It’s really interesting. As some of our listeners know, back in July, we released a report about this national contract that Amazon has secured to supply cities and school districts across the country with things like office supplies and classroom supplies. Our report details a lot of the problems in that contract. We learned that about 1500 local governments have already signed on to that deal, and are shifting their purchasing increasingly to Amazon. What was interesting is that we pulled data on a bunch of different cities as we were doing that report, looking at how much are different cities spending with Amazon. We found that Phoenix basically spends no money with Amazon. That really stood out in the list of cities. How is it that Phoenix has managed to avoid purchasing on Amazon. Tell us a little bit about how the city approaches its procurement. Kimber Lanning: Yeah. There was a lot of work that went into that, working in partnership with city staff and also I wanna give a shout out to former Phoenix Mayor, Greg Stanton, who really saw the vision of taking city dollars, investing them in Arizona companies as a strategy to grow the economy. We worked in partnership with city staff, to come up with a program that we still do today, which is to help them grow the number of Arizona companies they have in their database. They also empower city staff to anything under a contract worth less than 100,000 dollars, they have the ability to only use the Arizona based database. They’re not technically preferencing the Arizona companies, they’re just using a process where only the Arizona businesses get to bid on those particular contracts. The only way it will go to a national full bid is if they don’t get at least three competitive bids on any particular item they’re sourcing. I think having those relationships with city staff, has been one key thing that has helped us stay on track. Also, reminding the elected officials who come and go. City staff might there 30 years, whereas the elected official is gonna come and go every eight years, or four years, depending. It’s important to engage them both. It’s important to give credit to city staff, when they make smart decisions like this. I was mentioning to you earlier, we sent thank you cards to all of, the decision makers after your study came out, because they really made us shine. They made us the smart city that we are, which is that no, we aren’t going to put our money into a company that extracts wealth from our community. We are going to invest in the companies that are here investing in our future together, with a shared vision. We’re very proud of that. I think that the procurement process in its first year, was significantly smaller than it is today. I think in year one, we did an additional 22 million dollars worth of business locally. I don’t have the latest statistics, but it’s significantly higher than that. We host doing business with the city, study sessions, two times a year. We had 170 businesses come out to the last one. They can ask questions. We had about six or eight city staff there, to answer questions and to walk people through the process of getting registered and helping them understand how to watch for and reply on bids. It’s been a great experience. We think that … We’re very proud of the city and the decisions that they’re making. Stacy Mitchell: That’s terrific. It seems like the kind of thing that more cities across the country should be doing. I mean, instead of just handing over everything to Amazon, or you know, other large out-of-state companies. Why not use procurement as a tool to actually grow the kind of businesses that you wanna have in the community. Part of Local First Arizona’s mission is around encouraging diversity and inclusion. I’m curious how you bring that to your work. Kimber Lanning: We live in a very diverse state. I think that in this work, I personally went through somewhat of an awakening and realizing that we thought we had been inclusive, but we weren’t really being that inclusive. Ultimately I think the bi-local campaigns, although very well intentioned, they really started in a place where only middle and upper class white folks were participating or even had the opportunity to participate. 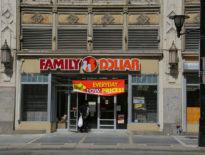 Many of our underserved areas, had been over run with cheap fast food places, big chains, and there weren’t enough local businesses to support, even if they wanted to. As part of that, we created a business accelerator program called, Fuerza Local. That’s F-U-E-R-Z-E-A, Fuerza Local. That is a Spanish Business Accelerator program, that it’s a six months to get through the program. They have to come to class one night a week. They learn not only about how to run stronger, more efficient businesses, and they’re all small business owners already when they start the program. In addition to getting the business curriculum, they need to build better businesses. They also have a financial literacy component, that help them gain access to fair market capital. Like many states, we have a crisis of having a huge number of predatory lenders here, like check cashing places, and title loan places, that are feasting and victimizing our Latino population through Spanish language advertising and promotion. The average interest rate our small businesses, that come through this program are paying at the start of the program is 48%. Stacy Mitchell: Oh my gosh, wow. Kimber Lanning: And a lot of people will say, “Oh, well they’re at the check cashing place because they ruined their credit.” But what if I told you that no, they didn’t ruin their credit. Nobody just told them that there was a better way, that there was another way they could get a loan through a credit union. So our program takes a … It’s called a money pool, or in certain parts of the world it might be called a tanda or a cundina. It is a model that families have used for centuries to save money together without paying interest. We had digitized that in partnership with a local company called eMoneyPool, and we put our students in pods of 12 people. They each make payments into the money pool each month with a goal of saving a $1000 over six months. So they make those payments together and all of them get their money back out of it. At the end of the six months, they’ve all saved $1000. We, through our foundation, we match them at $1000, so now they have $2000 and an updated business plan. Many of them have a business plan for the first time of how they’re going to invest that money. But what’s most important about this is we take their payments and report them to the credit bureau Experian, so when they graduate they have a credit history. We have a relationship with two credit unions that will accept that certificate of completion and six months of credit history in lieu of any other background at all. That’s all they need to access a $2500 line of credit to get them started. We really believe strongly in this program. We had over 400 graduates who have gone on to create over 500 jobs in a community. We just have some amazing success stories where people just needed a fair deal and an opportunity to learn so that they can be more competitive in their business. So it’s a wonderful program and it’s really changing the face of some of our more diverse communities of color here in this area. Stacy Mitchell: Tell us about one of the entrepreneurs that went through that program and opened a business. Kimber Lanning: Yeah, so one that jumps into my mind, we have a woman that just was a fantastic baker. She creates these amazing wedding cakes, but she didn’t know how to run a business. She had her company, she had no website, no online presence at all. She would quote people on the phone, it was all word of mouth, and she quote people on the phone, maybe say $500 for this wedding cake, and she’d go to deliver it and the family would say, “Well, sorry. We only have $275.” She would just feel sad and go back home, and her husband kept saying, “This is never gonna work.” She was paying 46% interest on the money she had borrowed, working out of her home kitchen. She had no business license, no health permit, and she had been sold three kinds of insurance that she didn’t need. Kimber Lanning: She was a star student, came through, took advantage of every mentorship we offered her. Front row, every class, did all of her homework with gusto. Now she has … She graduated from our program three years ago. To give you a recap, she’s now with a credit union, paid 6% interest. We got her out of her bad loan. She has the right kind of insurance. She has her business permit, her health permit. We helped her get out of her home kitchen and into a commercial kitchen, and she just landed a contract with the largest local grocery chain in this area, and she has six full-time employees. In a three year period, she went from having one failing home-based business to having six full-time employees. It’s quite remarkable when you see somebody that would just needed to be able to learn in their primary language. She speaks English, but she learned better in Spanish. And be given an opportunity to access capital at a fair market rate, and it just transformed her entire life. Stacy Mitchell: That’s great. That’s great. Well, I want to turn now to your own business. You are a record store owner. You own Stinkweeds, which is a terrific store. I’ve really enjoyed visiting it. 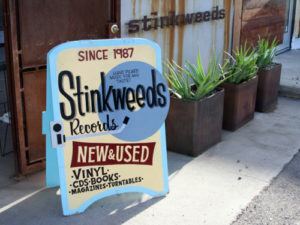 I think a lot of people think that record stores are from a bygone era, but Stinkweeds seems to be going strong. What’s the secret? Kimber Lanning: I’ve had this store since 1987. We just passed our 31st anniversary. 2016, 17, were the strongest years we have ever had in history of this store. So vinyl is very real. It is wonderful to see three generations of people come into the store, enjoying buying vinyl records. We sell tons of turntables, and I think the reason we’re successful is two fold. One is just flat out we’ve got the best customer service and the best selection. I mean, it’s just a great store and we pay for used records better than many of our competitors do. We’re more of a fair wheeler dealer of new and used records. But also, Stacy, the honest to God truth is that I bought my building 15 years ago, and that has enabled me to keep my cost down. I’ve been able to fight the gentrification that’s occurred around me by simply owning my own property. So I want to help other small businesses figure out how they can buy their buildings as well. So while the rents of all my neighbors have gone up two and three times, I’m still there with my mortgage and my tiny little building. I mean, my building is 1000 square feet, and it’s sort of like a little engine that could. But that’s a very real reason for why we’ve been able to stay this long. We’re trying to figure out how to get more small independent businesses to be able to buy their buildings. Stacy Mitchell: That’s so important. We’ve just been hearing from people across the country about that problem, and it’s really critical. It’d be great to see more places have programs to help support that. And again, another link with local banking, and why it really matters to have capital available. As we’re wrapping up today, I think one of the last things I want to ask you about is you went from being an entrepreneur to being a community organizer and a policy advocate. You’ve grown Local First Arizona into this large, vibrant organization with a lot that’s going on, and you’ve changed a lot of policies in the state and within Phoenix and other communities. I’m curious what kinds of advice you would have for people who want to do this in their state. What is it that you’ve learned along the way that you wish you knew when you started? Kimber Lanning: I think one of the most important things that we are able to do is to think about big systems and to be able to whittle it down into stories about people. If I want people to move their money, I don’t just talk about the big financial systems and the policies behind them. I think in order to motivate and inspire people, we have to talk about the guy who applied at 14 different big banks and got turned down. And yet now, he’s there shaking the hands of the community bank president who shares a vision with him about what that neighborhood could look like. To tell other people how we do this work, it’s just really that. People, you lose them if you’re gonna constantly talk about big, huge systems change things because it seems overwhelming. What we need to do is show them individual people who are succeeding, how they’re succeeding, and then tie it back to an action that we’re asking them to do. The reason this guy could meet with this bank president is because the community bank is only chartered locally, so we need to get more money to that guy so he can lend to more people just like Jim, or whatever. That is really the secret sauce. It’s giving it to people in a way that they can relate to it. Stacy Mitchell: That’s great. To wrap things up today, we often ask our guests to make a reading recommendation, and it can be anything. Kimber Lanning: Yes. So I am super inspired by Anand Giridharadas, I’m not totally positive on the pronunciation of his name, but I believe it’s Anand Giridharadas, and the book is called Winners Take All. I’m super inspired that he is really taking to task a lot of these big corporations that are hiding behind the banner of conscious capitalism, and they’re pretending to do good without actually changing any systems. Let me tell you, the only way to change these things is to dismantle them. If anybody is pretending to do good in a community while they’re doing harm in the community at the same time, we need to hold them accountable for that. We can’t just rush to support the companies that offer free yoga on Tuesdays for all their employees while their money is invested in coal, and oil, and other extracted economies somewhere else. So he’s really encouraging big picture thinking and accountability, and I just love the book. Highly recommend it. Stacy Mitchell: And that’s Winners Take All, right? Stacy Mitchell: Well, excellent. Thank you, Kimber. It’s been so great to have you on the show. Really appreciate the time. Kimber Lanning: Well, thank you so much for having me, and thanks for all the good work you do. Stacy Mitchell: Thank you for tuning into this episode of Building Local Power. You can find links to what we discussed today by going to our website ILSR.org and clicking on the show page for this episode. That’s I-L-S-R dot org. While you’re there, you can sign up for one of our newsletters, connect with us on Facebook and Twitter, and if you liked this podcast, please consider sharing it with your friends or leave us a rating. The show is produced by Lisa Gonzalez, Zach Freed, and Hibba Meraay. Our theme music is funk interlude by Dysfunction_AL. For the Institute for Local Self-Reliance, I’m Stacy Mitchell. I hope you’ll join us again in two weeks for the next episode of Building Local Power. Like this episode? Please help us reach a wider audience by rating Building Local Power on iTunes or wherever you find your podcasts. And please become a subscriber! If you missed our previous episodes make sure to bookmark our Building Local Power Podcast Homepage. If you have show ideas or comments, please email us at info@ilsr.org. Also, join the conversation by talking about #BuildingLocalPower on Twitter and Facebook! Audio Credit: Funk Interlude by Dysfunction_AL Ft: Fourstones – Scomber (Bonus Track). Copyright 2016 Licensed under a Creative Commons Attribution Noncommercial (3.0) license. Hibba Meraay manages communications for the Institute for Local Self-Reliance. She works closely with all of our initiatives to build community power and combat monopolies. A native New Englander, Hibba is a graduate of Boston University. Contact Hibba for media inquiries. Building Local Power offers thought-provoking conversations and new ideas for breaking the hold of corporate monopolies and expanding the power of communities to chart their own future. Every two weeks, we bring you interviews with trailblazing lawmakers, scholars, business leaders, and advocates, plus conversations with the Institute’s own in-house experts, who share their latest research and reporting. Subscribe to the podcast feed: iTunes, Stitcher, or RSS/XML. New episodes are published bi-weekly on Thursdays. Sign up to get new podcast notifications.